Two southeast Asian countries are turning out to be very good customers for U.S. meat exports says Phil Seng, president and CEO of the U.S. Meat Export Federation. 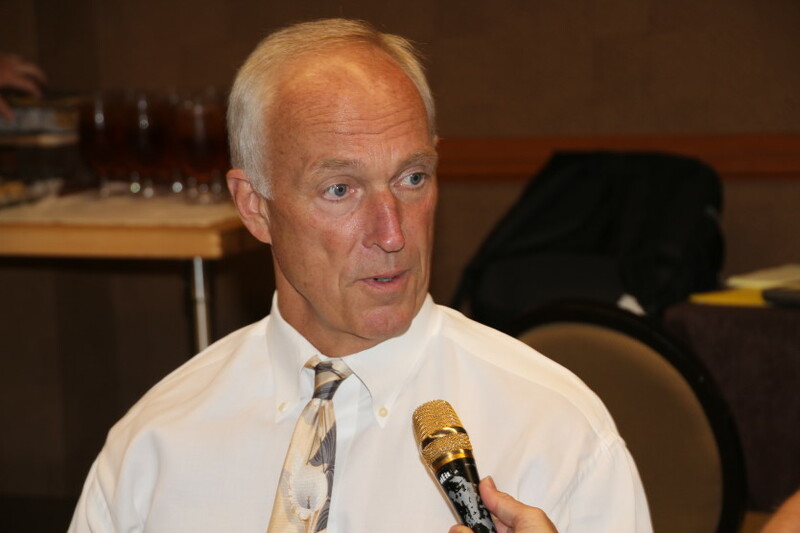 Seng recently spoke with Ron Hays at the Summer Cattle Industry Conference in Denver. “In Korea right now they’re very concerned about food inflation. We’re just seeing today that as far as wheat and as far as beans they’ve gone down to zero duties in that regard. Seng said the single BSE case reported in America earlier this year had some impact overseas. “Japan, the day after this came out, they announced that there’s nothing to worry about, that they understood the science behind this, and there wasn’t a glitch in our exports to Japan. “Korea, on the other hand, because of the volatility of the opening of the market and 100,000 people out in the street for 100 days, there was a lot of publicity, a lot of negative publicity about our product and that was more sensitive. So, they went on to 100 percent testing of our product, but that’s all been rescinded at this time. Phil Seng talks with Ron Hays about growing meat demand in Asia.